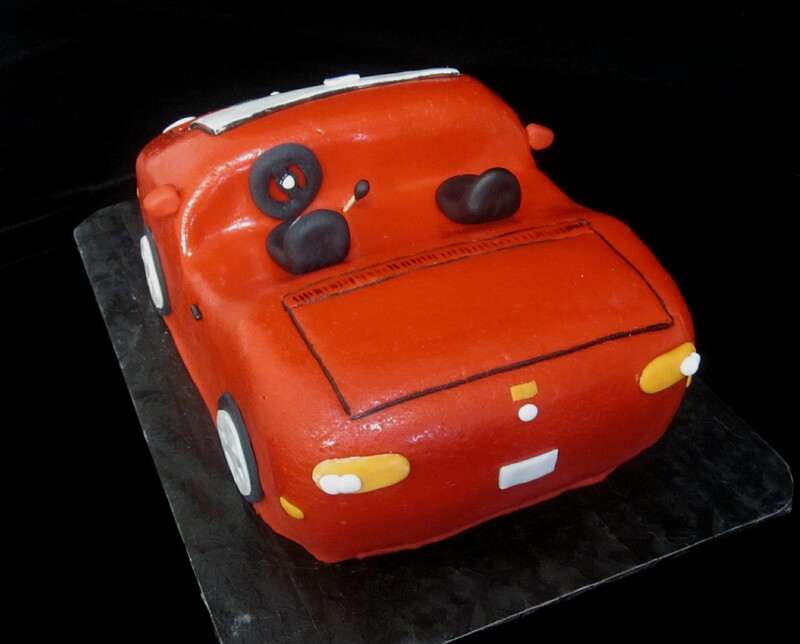 The red Mazda Miata convertible was created for a gentleman’s 50th birthday. 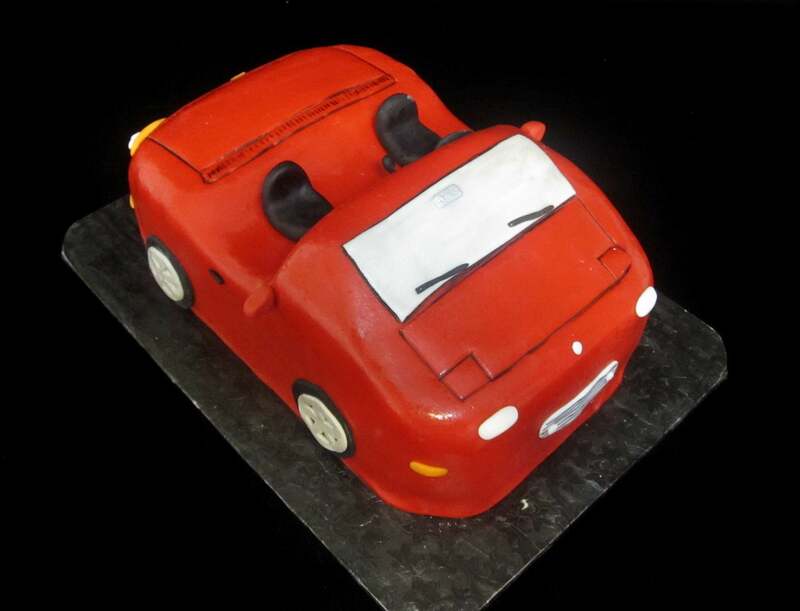 The cake was carved and then covered in red fondant. 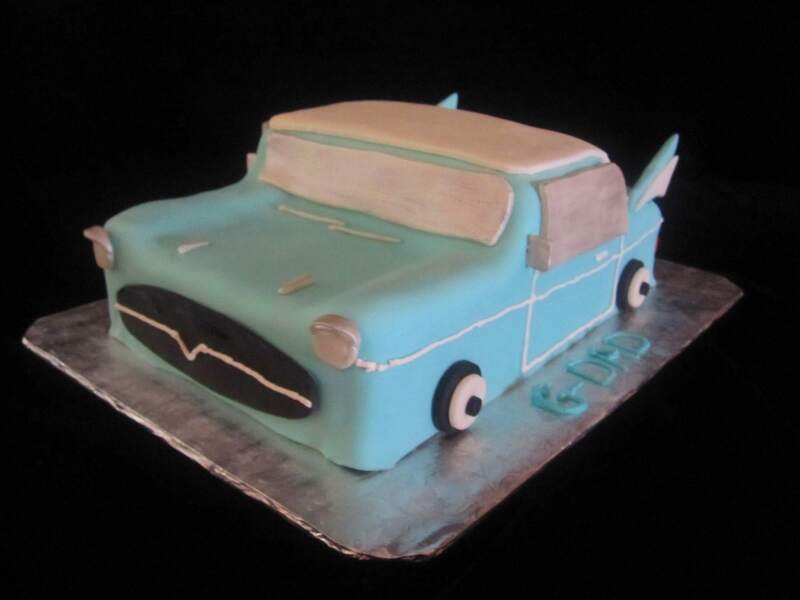 This retro 57 aqua blue chevy cake was created for a grandfather’s birthday party. 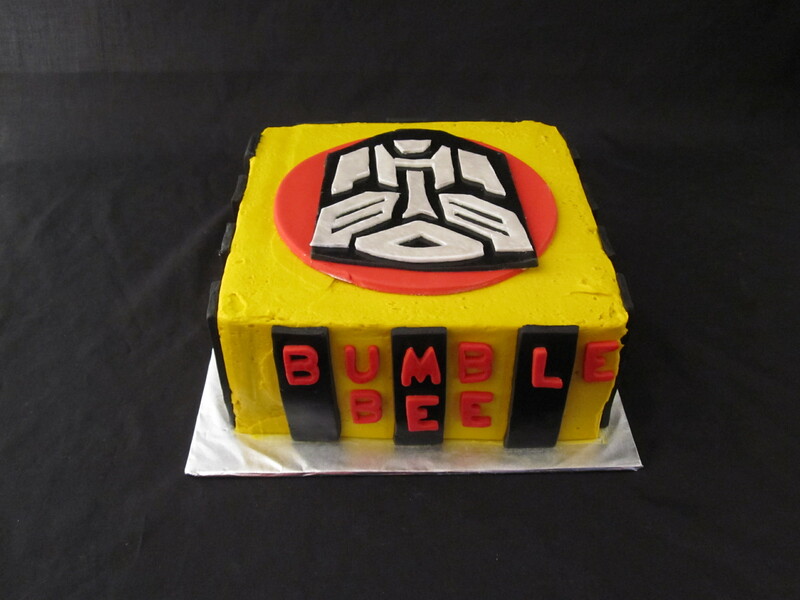 The cake is covered in our marshmallow fondant.